Posted on 10/03/2018 by Mickey McCarter	in Live Review and tagged Capital One Arena, Game of Thrones, Game of Thrones Live Concert Experience, Molly Rogers, orchestra, Ramin Djawadi, Stevvi Alexander, television music. Winter may be coming, as the House of Stark says, but at least it will be accompanied by delightful music! 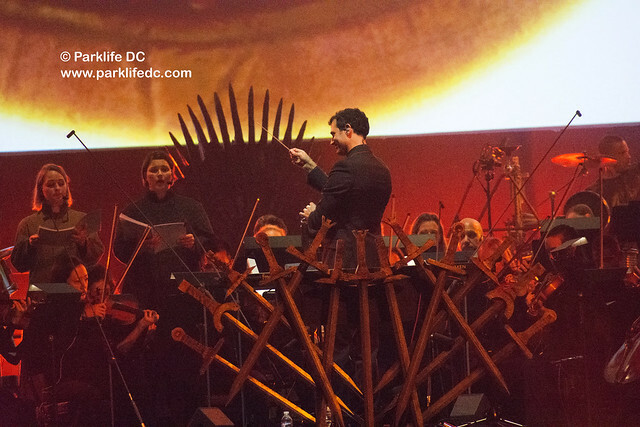 Conductor Ramin Djawadi took charge of a full orchestra that offered twists and turns worthy of the Game of Thrones for the namesake Game of Thrones Live Concert Experience at Capital One Arena recently. It was the second trip to the Capital One Arena for the immersive musical experience on Sept. 25, and its return pleased the crowd, which often cheered mightily during the performance. They cheered occasionally for Djawadi and his players, but more often they cheered for their favorite Game of Thrones characters. You see, clips of the show were broadcast onto a giant crystal clear screen, and the concert unfolded in time with visual cues to the show. All the while, Djawadi moved from stage to island, conducting and playing with the indefatigable energy of a rock star. 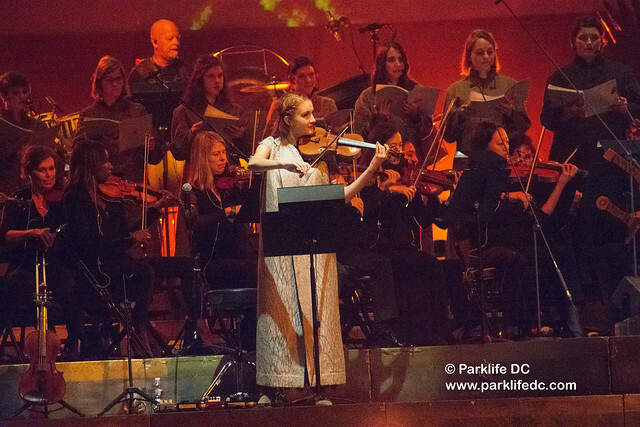 The concert opened with the instantly recognizable main title of Game of Thrones and then moved into a medley of the “house” themes representing each prominent family battling it out for rule of Westeros in the show. 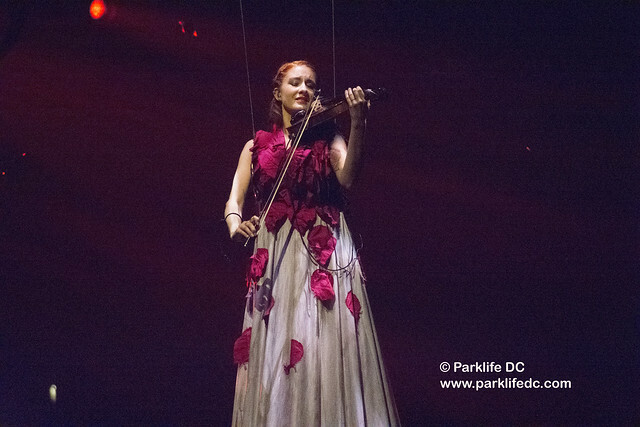 The audience experiences a big surprise early in the night when violinist Molly Rogers, of bands Haushold and the Orchid String Quartet, rose far into the air while playing “Goodbye Brother.” Molly rode a platform into the air while draped in what was apparently a growing, flowing gown, as she played. The otherworldly effect was an ingenious move that added awe to the performance while accentuating the sadly sweeping melody. 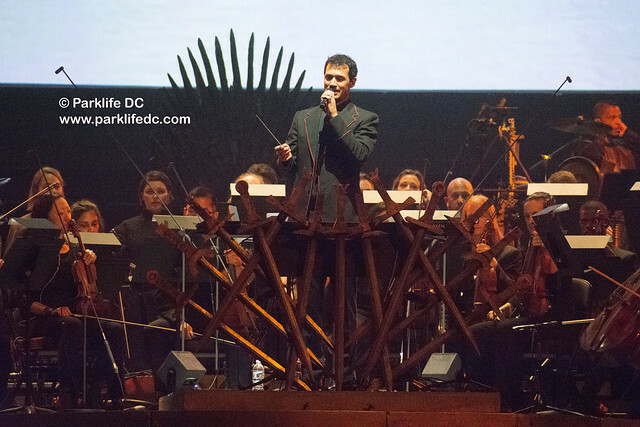 Djawadi conducted most of the show from the apron of the stage, but he wasn’t afraid to mix it up, occasionally moving to take up an instrument himself, such as during “Needle,” when he accompanied the orchestra on dulcimer from an island closer to the audience. As the show progressed, Djawadi would also pick up keyboards and a guitar on various songs, enigmatically surprising the audience with the depth of his talents. Earlier, Djawadi explained how the music of the show was carefully arranged, so that the themes for certain characters would appear at key times, which heightens the suspense or the action in the series. For example, when the massacre of the Red Wedding occurred, viewers heard “The Rains of Castamere” a song they were trained to associated with the Lannister family, but the scene was not supposed to be about them. When the scene broke out into the score, viewers knew something was wrong. 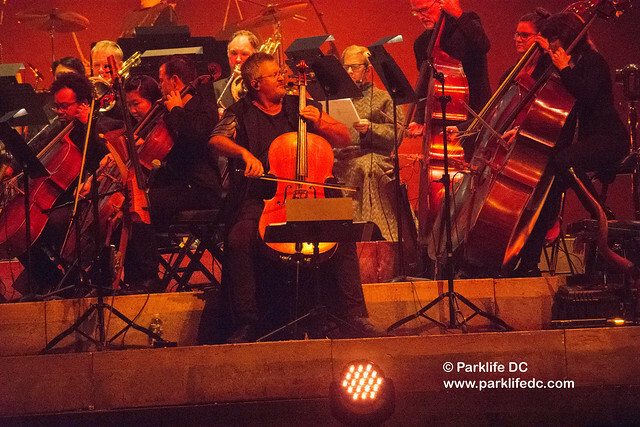 Vocalist Stevvi Alexander sang “The Rains of Castamere,” and her presence heralded other standout moments when her beautiful voice rose in time with the orchestra. All in all, the Game of Thrones Live Concert Experience is a thoroughly enjoyable, complex work that truly serves as a companion to the series itself. As someone who does not know the show well, I personally found the music arresting and the visuals compelling, so don’t be afraid to take your friends who don’t know the series along with you when the orchestra visits your city. 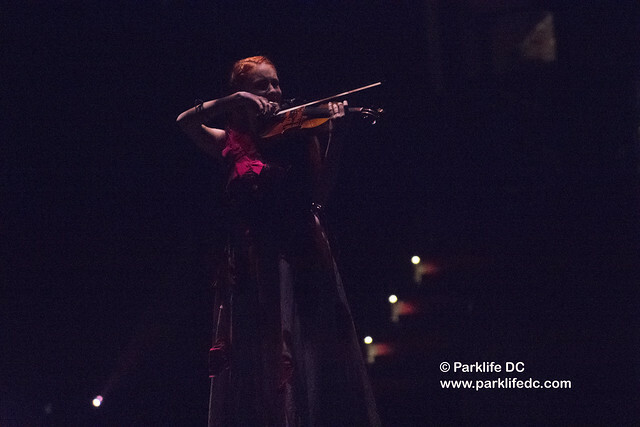 Here are a few pictures of the Game of Thrones Live Concert Experience at Capital One Arena in DC on Sept. 25, 2018.